It's roughly $60K more than the US' most expensive supercar. The Acura NSX has a few things going for it. For one, it offers hypercar technology for supercar money and can and even promises to be a supercar that shines on a daily basis, if that’s your thing. All of this, however, comes at the steep price of $156,000. While it may be cheaper than other supercars, when production begins in April at Honda’s new manufacturing center in Ohio, the NSX will become the most expensive car built in the US. “It’s right there at the top,” said managing editor at Kelly Blue Book Matt DeLorenzo to Biz Journal in regard to the NSX’s price tag. The NSX will surpass the Dodge Viper as the most expensive car built in America by quite a large margin. 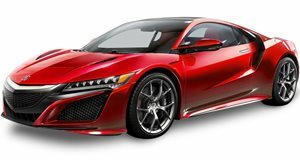 When fitted with optional features, the NSX will eclipse the $200K mark, which dwarfs the Viper’s price tag. 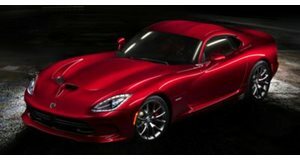 The Viper has a base price of roughly $90,000, which is $66,000 less than the base NSX and is built at FCA’s Conner Avenue Assembly plan in Detroit, MI. While some enthusiasts may believe that Ford’s upcoming GT will overthrow the NSX for the title, the GT will be built by Multimatic Inc., which is a Ford supplier in Canada. Only 800 units of the NSX will be built this year with delivery starting shortly after production starts.